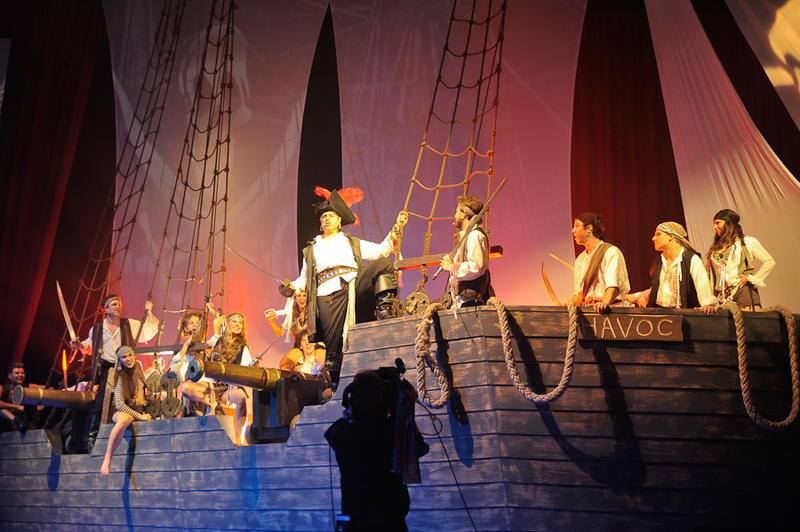 Cannons explode as a large group of roaring pirates enter the room with swords raised and voices cheering. 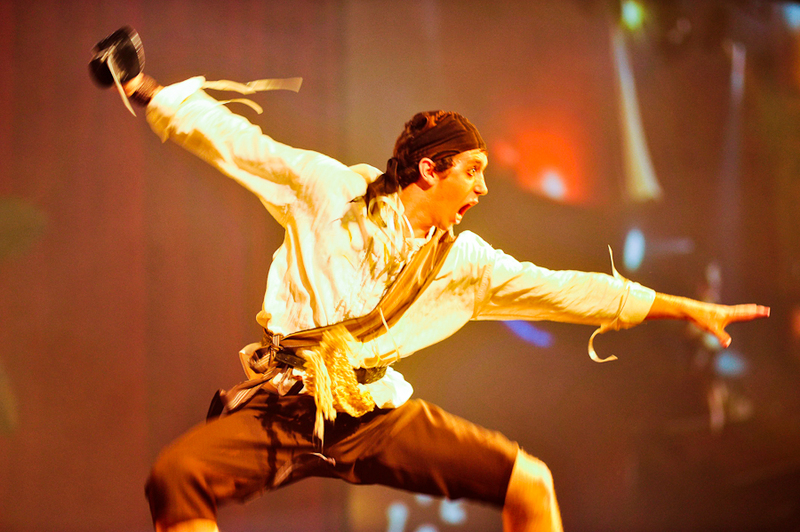 Excitement and energy await the guests as gorgeous dancers (male and female) scatter gold chocolate coins across tables, pretend to steal from guests and create general chaos and revelry as cast make their way to stage. 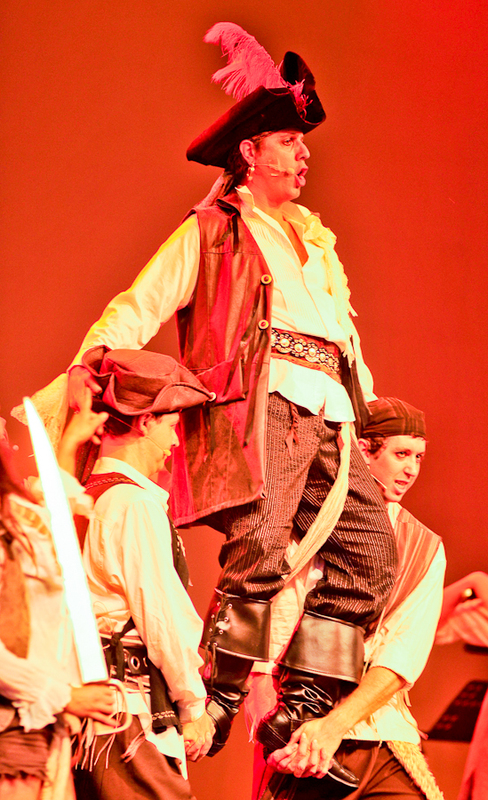 The scene continues on stage with a short fight/dance scene and, as the scene draws to an end, the pirates bring the event MC to stage hooded with hands tied releasing him at the lectern to begin proceedings. 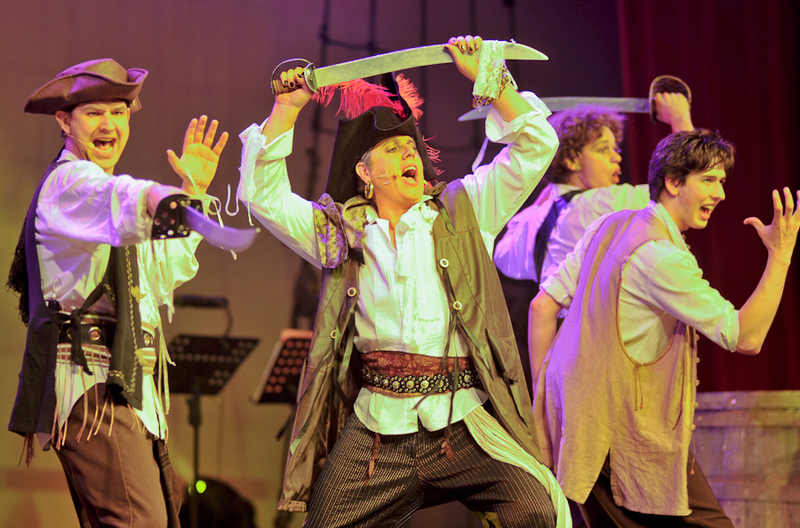 High energy mischief fills the stage as these wayward pirates and their Pirate King present a medley of fabulous, well loved music from Gilbert and Sullivan’s “The Pirates of Penzance”. 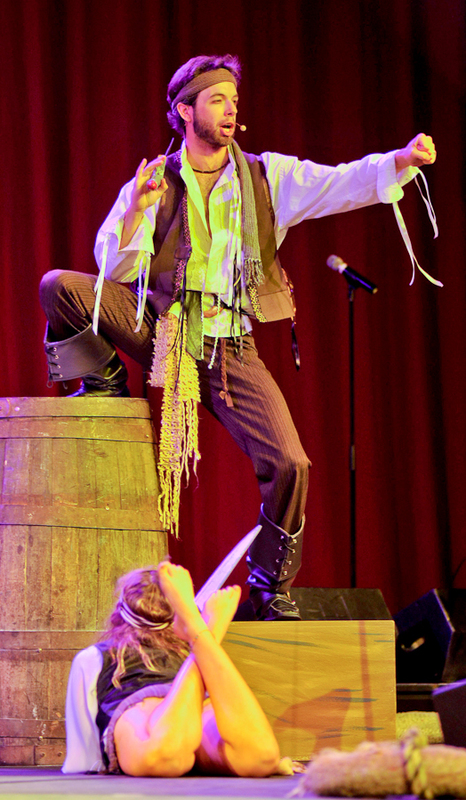 The show incorporates modern costuming in keeping with characters such as Captain Jack Sparrow (Pirates of the Caribbean) combined with sassy ‘girl pirates’ to create a contemporary look mixed with shenanigans and classic pirate songs. 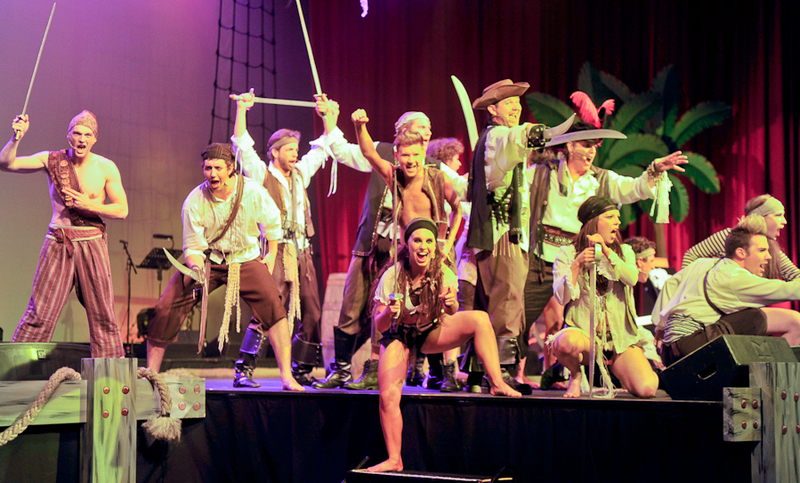 Troupe of 10-15 professional dancers and music theatre performers. 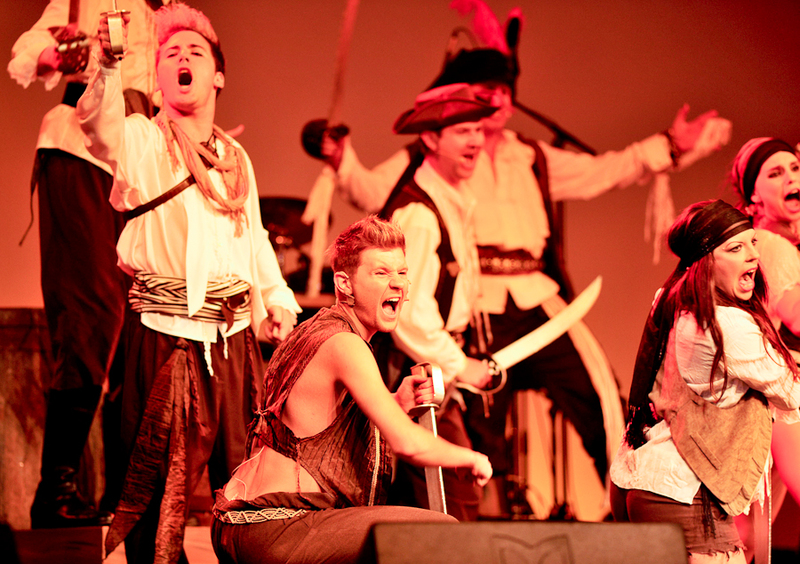 Theme from "Pirates of the Caribbean"
"I am a Pirate King"
"Pour oh Pour the Pirate Sherry"